Although I do not want to get in the habit of hijacking another blog's content, I cannot help myself this time. This garden blog used a Guardian article to point out the very high dependence our society has on oil. While I realize this topic is becoming more and more cliche, the reasons for reducing your personal dependence on oil are increasing exponentially, every year. Peak oil has been a topic for the doomsayers since M. King Hubbert's bell curve of 1956. He correctly pointed out that the US supply of oil would peak in 1970. Now the US has continued to extract oil reserves from all over the world. Within 40 years of US peak oil, the world has seen the world's oil resources reach peak oil, as well. Many experts believe peak oil occurred in 2006, while the most conservative news sources reveal peak oil to occur in 2012. Regardless of this six year discrepancy, the only number worth paying attention to, is the price of a barrel of oil. As the blog succinctly points out, the culture of cheap oil has allowed human populations to comfortably expand beyond normal resource related limits. Therefore, a reader should imply that peak oil, means peak food. The implications of this news means many things for the world. However, more importantly, each individual consumer must adjust his/her consumption habits. Nobody like to be told how to live his/her life. Unless you live in a celestial tax bracket, you will not be immune to the consequences of peak oil/food. I promise that I will not harp on the topic of peak oil very much. If you are going to be a visitor to my blog, however, you should be familiar with the concept of peak oil. Mankind and its relationship to its resources is the most important relationship on the planet. Yes, even more important than the mother and child relationship. This relationship between man and resources, ultimately determines how the rest of the natural planet survives. With the ascension of oil as top commodity, the world's other natural resources have become a backroom priority. Through permaculture techniques, our society can lessen the impact of peak anything. Let us fight the biological instinct to consume everything in front of us. Please. The world's largest producer of wheat is experiencing drought. This could prove to be very disastrous to the price of food, worldwide. 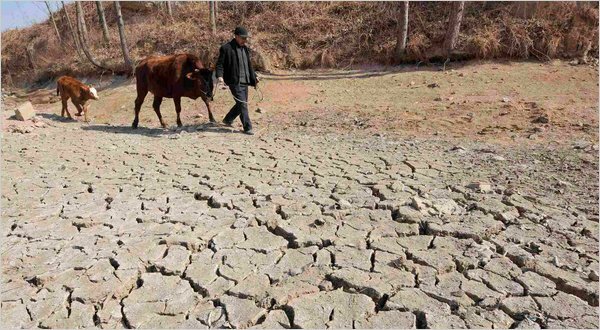 Russia had drought last year in its' wheat fields and Australia's supply has been endangered by flooding. Permaculture, everyone, is officially the most important skill on the planet. Kids should know about natural food, instead of that which is wrapped in plastic. Sugar or corn syrup is most likely, not grown in a school garden. 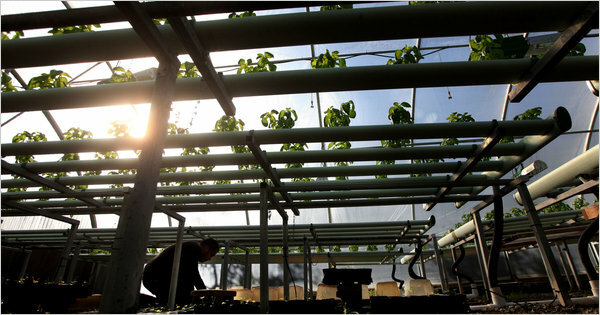 Every school should teach children how to grow food. How has this never been important? GOING GREEN Carlos Rivera, a former Marine, at Archi’s Acres, an organic farm in California’s avocado country where service members and veterans learn about farming. I'm not usually a fan of "heart-warming" stories, but this one pulls strings from my brain as well. Soldier turned farmer? Not very common, or not reported. Given the demise of modern consumer society, this optimistic report of feeding 9 billion mouths is possible. With present day consumption rates, not a chance. Indigenous women stand near an oil pit in 2005 in Ecuador, center of an 18-year legal battle with Chevron. Chevron has every right to counter sue poor native Ecuadorians for reparations of oil pollution. But that doesn't mean Chevron won't look like assholes doing so. 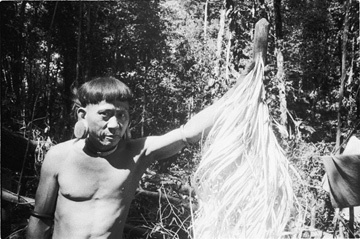 Along Sega in 1986 with a "seperut" stick which is used by the Penan as both an ornament and talisman. Photo courtesy of the Bruno Manser Fonds.